Former television reporter Jane Avery has a thing about beautiful coats. The sort of coats that turn heads on a gloomy winter's day. The sort of coats that prompt people to stare. 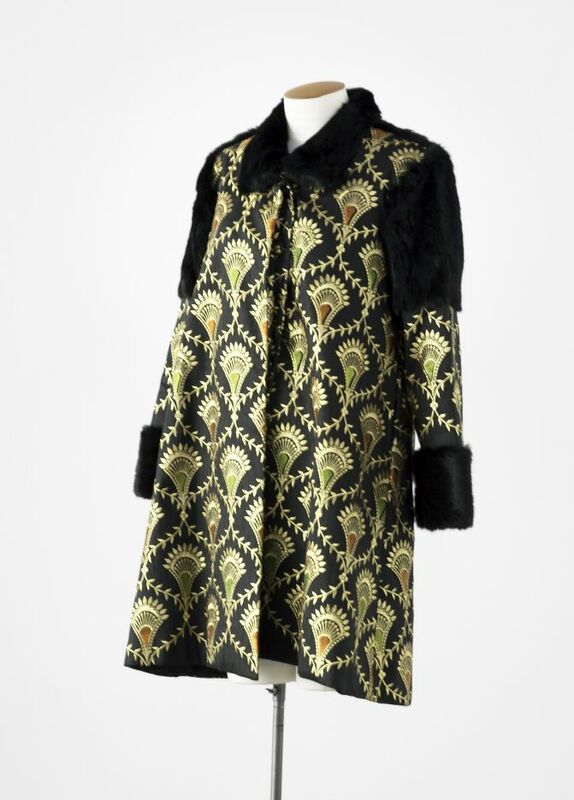 The sort of coats that are both a sumptuous, snuggly fashion statement, as well as stunning works of art. “I love couture, slow fashion and creating family heirlooms,” says Avery, who is currently focused on hand-crafting bespoke, limited-edition coats for her growing client base. Combining New Zealand wild rabbit eco-fur with the startling juxtaposition of exotic global textiles, Lupin is rapidly lifting the winter coat game in Dunedin, with the aim of turning a loathed pest into a useful and practical fashion resource. Having been selected to show her coats at this year’s iD fashion week, Avery’s coats wowed on the catwalk, a significant achievement for such a new brand. “I love beautiful fabrics, especially those from countries with rich textile traditions,” says Avery, who also has a clear preference for bold, jewel-like colours. A fourth-generation sewer who reported on the rabbit plague during her time as a journalist for TVNZ, Avery gave up a career in television to pursue her fashion interests, and her debut collection launched in March, evoking the spirit of the famous Silk Road, where the transport of sumptuous textiles mingled with the warmth provided by sustainable, long-wearing animal furs. Rabbits were initially released in New Zealand for food and sport by English settlers, but the population rapidly exploded out of control, and has devastated the land, which in some areas is bare of vegetation and riddled with rabbit warrens. Now Avery is attempting to tackle the plague - with style. “Fashion is a vocation I have wanted to move into for years...and the move to Dunedin facilitated that for me,” Avery told Radio New Zealand, about her 2011 shift to the deep south.